Contrary to what a lot of people think, the position you sleep in doesn’t make you more or less at risk for scoliosis. However, the bed you sleep on can make a big difference in the pain symptoms you feel from your disorder! Fixing your mattress is one of the most crucial things you can do on the journey to fixing your back! We’ve gone on a mission to round up the very best mattresses for folks dealing with scoliosis. Our crack team of researchers has come up with a list of 3 models which are ideal for dealing with spinal curvature. They’re supportive enough to align your spine properly, but still comfortable enough to help you get a good night’s sleep. These scoliosis mattresses are carefully picked to give our readers the most comfortable experience possible while sleeping. In this guide, we’ll introduce you to our three winners, and talk you through all the reasons we think they’re so great. We’ve also put together a handy guide to shopping for a mattress when you’ve got scoliosis, which you’ll find after our in-depth reviews. 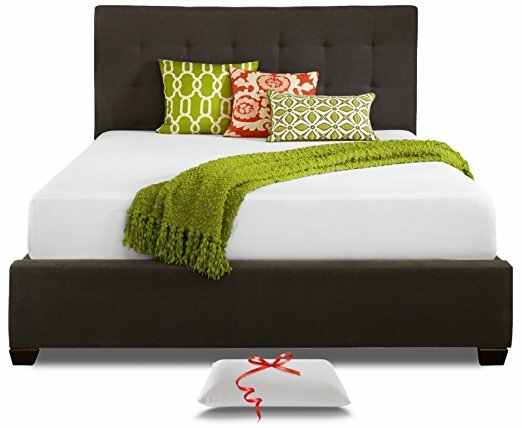 The products that are featured here are the best beds for scoliosis. We hope you find your favorite pick. As you probably know by now, scoliosis is a condition in which a person develops abnormal, exaggerated spinal curvature in a sideways direction. Your spine might resemble a C-curve, or have an S-curve with two slight bends. Depending on the severity of your individual condition, scoliosis can be anywhere from painful to downright debilitating. Most scoliosis treatments are all about addressing and resolving the abnormal curvature, to get your spine back to its proper straight, open channel. When someone with scoliosis sleeps on their back, they can experience discomfort because the curvature of their back isn’t supported properly by their mattress. Since their spine is usually curved slightly forward as well as sideways, it’s best to have a mattress with some firm response to both support and correct that curvature. Likewise, when the same person sleeps on their side, an unsupportive mattress can cause gravity to have a painful effect on the spine, particularly in the thoracic region. So, again, you’ll need some extra support to support the torso, even as you look for relief for the pressure points at your shoulders and hips. 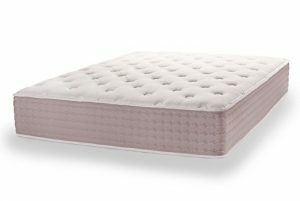 Which mattresses make the grade? Find out below! The Resort Sleep is by far the cheapest mattress we recommend for dealing with scoliosis. It’s ideal for people who already have a lot of medical costs to deal with and can’t make a big investment in a new bed. For the price, you get a nice, thick mattress with an impressive amount of firmness and support. 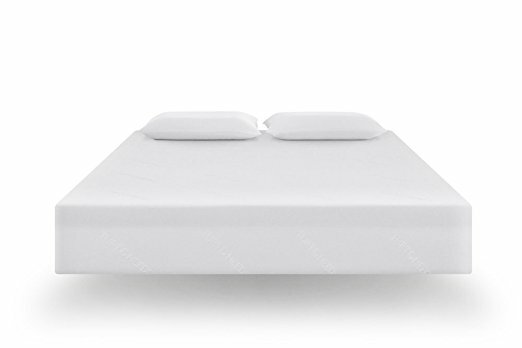 This is a good choice for both side and back sleepers, and we think it’s a good way for scoliosis sufferers to save money without skimping on comfort. It’s a thick mattress for the money. Size isn’t always an indicator of quality when it comes to beds, but when you have scoliosis, you need a mattress that’s thick enough to have a substantial support base. The Resort Sleep is 10” thick, so it has room for a full 7.5” of support foam under the 2.5” comfort layer on the top. That allows it to keep your spine straight and supported, which is super important for dealing with your condition. It’s firmer than other budget mattresses without being uncomfortable. That's thanks to the thick support layer, as well as the fact that the upper layer is more responsive than older memory foam materials. Reviewers with all sorts of chronic pain issues from scoliosis to sciatica and rheumatoid arthritis all praised the relief and support they found on the Resort Sleep! It’s CertiPur US certified to be free of harmful chemicals and flame retardants. It’s covered by a 20-year warranty, which is much longer than most budget mattresses come with. And while Resort Sleep haven’t always had the best reputation for customer service, they’ve really stepped up their game recently. It’s a great bargain by itself, but this mattress also comes with a free memory foam pillow. Unlike most freebies, buyers said they were very impressed by the quality of the pillow and some even asked about how to buy another! While it’s not the firmest mattress in this list, it’s the shallowest in terms of the comfort layer. So, some side sleepers might not find it as comfortable as others. Some buyers didn’t find this mattress supportive enough. It’s on the firmer side of medium, but it’s definitely the softest in this guide. If you know you want lots of support, you may want to spend a bit more for the Tuft & Needle. Like many budget mattresses at this price, quality control isn’t spectacular. Some buyers received mattresses which expanded irregularly or unevenly. Others found that their beds developed soft spots after less than a year of use. That’s usually down to bad quality control as opposed to a design flaw, and it often has to do with people not using proper support under the mattress as well. In any case, though, the Resort Sleep simply isn’t as high-quality as our other choices. The Tuft & Needle is one of the most popular mattresses on the market period, not just for people with chronic spinal issues like scoliosis. We think it’s ideal for relieving the symptoms of your condition because it’s quite firm, but with even more of a comfort layer than the Resort Sleep. It’s made from proprietary foams that have a lot of the supportive, springy qualities of latex without the high price and heat. We think it’s a great midrange choice for most sleepers, but especially back sleepers and heavier side sleepers! It’s a good deal firmer than the Resort Sleep. The Tuft & Needle is decidedly firm, while the Resort Sleep is just getting into medium-firm territory. That makes it a better, more supportive choice for most back sleepers with scoliosis. It’s also good for heavier side sleepers who find that medium mattresses can’t support their torsos enough to prevent further curvature and discomfort. It’s made from a combination of foams that combine the best aspects of latex, memory foam, and traditional PU foam materials. The bottom 7” of the Tuft & Needle are a supportive, structural foam which keeps your spine from sinking and curving into the bed. The upper 3” are a comfort foam blend which has gel elements, and adapts like memory foam. 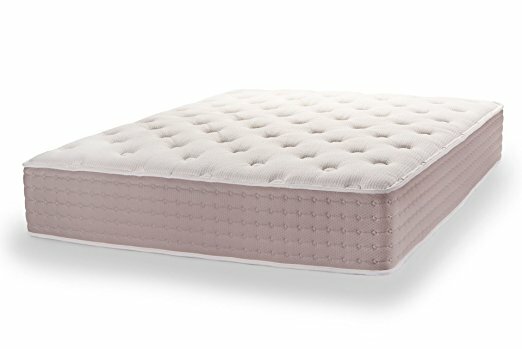 It’s bouncier than memory foam, which really helps in supporting torso and lumbar areas while still relieving pressure points. We’re not sure quite what’s in the proprietary foams, but whatever Tuft & Needle are doing, they’re doing right! Previous buyers who preferred all three sleep positions said they found the Tuft & Needle extremely comfortable. We found that quite a few reviewers with scoliosis reported near-instant relief on this bed, especially as their bodies got used to the feel of the surface. If you benefit from lots of firmness and support, as many with scoliosis do, this should be a great fit! All the foams are also CertiPur US certified, made in the USA, and bonded with OEKO-TEX adhesives. We also love that they’ve achieved fireproofing code without using chemical flame retardants! Instead, there’s a fabric “fire sock” which wraps around the whole mattress to give you a healthier protection. It sleeps the coolest of our recommendations. The comfort foam layer has gel and charcoal integrated in the material, which helps dissipate heat and sweat odor. It comes with a very long (100 days) comfort guarantee policy. That’s about three times as much trial time as you get with our other recommendations! There’s also a 10-year warranty. Tuft & Needle have outstanding ratings for customer service and satisfaction. In the rare case that customers had issues or decided they didn’t find this mattress comfortable, they reported hassle-free returns, refunds, and replacements. It’s rare to find a company that stands behind their products as much as Tuft & Needle does. That’s huge when you’re dealing with medical costs related to your spinal condition, and can’t risk a big mattress purchase without being sure the company will go out of its way to help you! Some people found it too firm. In response to some complaints, Tuft & Needle tweaked the mattress to make it slightly softer, so as to be compatible with more side sleepers. Most buyers enjoyed and appreciated the change, but some preferred the firmness of the older version. As with any foam mattress that ships rolled up, a few people received mattresses which were slightly off. They expanded incompletely, unevenly, or with a stronger chemical odor than usual. These cases were very rare, though, and Tuft & Needle were extremely quick to offer replacements and refunds. In the vast majority of the buyer reviews which describe an initial issue, the reviewer goes on to award 5 stars to the company for the quality of the replacement mattress they received, as well as the effort the company made to make things right. Our highest-quality recommendation for any sleepers with scoliosis is the EcoTerra! It’s a premium latex and spring hybrid mattress that strikes the ideal balance between cushion and support for your spine. We like how this bed combines the motion-isolation and support of springs with the responsiveness and buoyancy of latex. It’s ideal for both side and back sleepers who want ultimate comfort. On the top, there’s a generous layer of latex foam. It conforms to your body like memory foam, but without that quicksand feeling. It’s springy and responsive, which is what you want for supporting your torso and spine to prevent further curvature. It relieves pressure without collapsing completely. We also like that latex retains its springiness and support longer than synthetic foams. The bulk of the mattress is a network of independently-wrapped coils springs. They’re made from sturdy steel, and they give you lots of spinal support! Since they’re independent, they can all adapt to different curves in your frame and provide custom support. They’re not linked together, so you won’t get a sag in the middle like you would with older spring mattresses. We also love that EcoTerra have solved the common side softness problem with modern beds by using higher-gauge springs on the edges of the sleep surface. That makes it much easier to get up and out of bed in the morning! Reviewers said they loved finding an adaptive mattress that wasn’t giving them the sinking, squishy feeling of traditional memory foams. They also appreciated being able to find a bed that felt like a solid latex model without costing several thousand dollars. Buyers said they felt firmly supported in every position, but they still felt like the mattress was adapting to their body shape for a hug-like sensation. We think it’s the perfect feel for helping you through scoliosis. It’s environmentally-friendly and healthy for your lungs, as well as good for your spine! Synthetic mattresses constantly off-gas chemical fumes, but natural latex only has a faint, non-chemical scent that fades quickly. The fabric lining is made from certified organic cotton, and the latex comes entirely from plant sources. As with the Tuft & Needle, the EcoTerra is made completely in the USA. It’s covered by a 10-year warranty, and a 30-day return window. Latex and coil-wrapped springs are both more durable materials than memory foams and synthetic materials. The manufacturer estimates that this mattress will stay comfortable and firm for up to 25% longer than foam mattresses! Judging by our experience with latex mattresses and the reviews buyers have written for the EcoTerra, that seems about right. It’s expensive. This mattress will probably cost you close to $1000. While it provides a premium level of comfort, and is still much cheaper than a big box store bed, it’s not a small purchase. It’s not quite as firm as the Tuft & Needle. That could be either a pro or a con for you, depending on your preference. The EcoTerra is more accommodating of side sleepers than the Tuft & Needle, but both types of sleeper have left high reviews on each mattress. We think the EcoTerra is plenty firm, but if you’re all about support, you may want to stick with the Tuft & Needle. Regardless of your preferred sleeping position, most people with spinal curvature from scoliosis should sleep on a firmer mattress. You need some structure and support to keep gravity from making your curvature even worse, and to support your torso and lower back to keep them as straight as possible. The idea is to make a slight correction to the curvature without trying to curve the spine back in the other direction. You want to gently encourage your spine to straighten itself out, and keep it from getting any worse. If you sleep on your back, a firm mattress is probably best. You need maximum support under the lumbar and thoracic areas. To achieve that, you want some slight contouring around the hips, but a springy enough surface to keep the area above your hips from curving downward. You’ll want enough reactive “bounce” in the bed to push back against the protruding parts of your spine, so they don’t sink any further. If you sleep on your sides, you may not want quite as firm a mattress. While that firmness might be helpful for the curved section of your spine, it won’t provide the pressure relief side sleepers need around the shoulders and hips. We suggest medium-firm mattresses for side sleepers. The prevailing advice at the moment is that side sleepers with scoliosis should sleep on the side with the higher curvature, also known as the “convex” side. Depending on your treatment plan, your doctor may recommend using supplementary pillows to tweak your sleep position and make further spinal corrections. Don’t start using extra pillows to correct your spine on your own, but if you haven’t discussed them with your doctor or physical therapist, it’s probably a good idea to do so! Hopefully, your search for a new mattress to help with your scoliosis has come to a fruitful end! If you’re feeling like one of our recommendations is going to be your ideal sleep surface, click through to Amazon to learn more and check prices! You can also head to our home page to see more in-depth reviews, if you’re still comparing your options or which one is the best bed for scoliosis. We’ve also got an entire page dedicated to the best latex mattresses, which are very popular for scoliosis. Which of these mattresses should you order? The Resort Sleep is a surprisingly good budget option for most sleepers. It’s firm enough to keep back sleepers happy, but there’s also a decent amount of comfort foam to relieve pressure points on side sleepers. On the downside, it doesn’t have quite the longevity or quality control we appreciate in the more expensive options. It’s also a bit less firm than our other recommendations. The Tuft & Needle is the firmest mattress here, so if that’s what you’re going for, you may actually enjoy this more than the EcoTerra. It’s also a great midrange choice for people who want a more supportive, high-quality option than the Resort Sleep but who can’t afford the premium price tag on the EcoTerra. With all that said, it may be too firm for some side sleepers, and it isn’t quite as high-quality as the EcoTerra. The EcoTerra is unquestionably the best mattress for scoliosis. The latex material used in this bed is what most medical professionals suggest for scoliosis support, and the combination of the latex and springs is very durable. It’s a good middle point as well between the cushion factor of the Resort Sleep and the firmness of the Tuft & Needle. You also get a much more environmentally-friendly and odor-free mattress in the bargain. It’s expensive, but if you can afford it, we think you should get it–no matter your sleep style!